The biggest event of the year - back & even better. From March 29 - April 1 we are holding the 8th iteration of our biggest parkour event. With athletes traveling to attend from all over the US, Canada, and beyond, it's a gathering that is not to be missed. This is going to be the first big event in our new facility and we are so excited to share it with the community. This year, we are adding a clinic series with some of the best in their craft, including Nate Weston, Tom Coppola, & Max Henry. As it always has been in the past, admission for the jam training sessions & open gyms is FREE. We want to make the jam accessible to as many athletes as possible so you can all share this experience with our community. However we are accepting donations to help support us to work on more projects in the future. For attendees interested in taking workshops, the price for each of those is $30, or all three for $75. We will also be unveiling the full Unparalleled Spring '18 Clothing Line for exclusive availability during Fool's Jam. The pieces will be put for sale online after the jam. Housing space is available at the gym, please message us if you are needing a place to stay during the event. This is only open to traveling attendees only due to demand. For questions or more information, please email us at unparalleledmovement@gmail.com or call us at (406) 530 9054. Can't wait to have everyone here once more! We are very excited to announce our workshop series for Fool's Jam 2018! 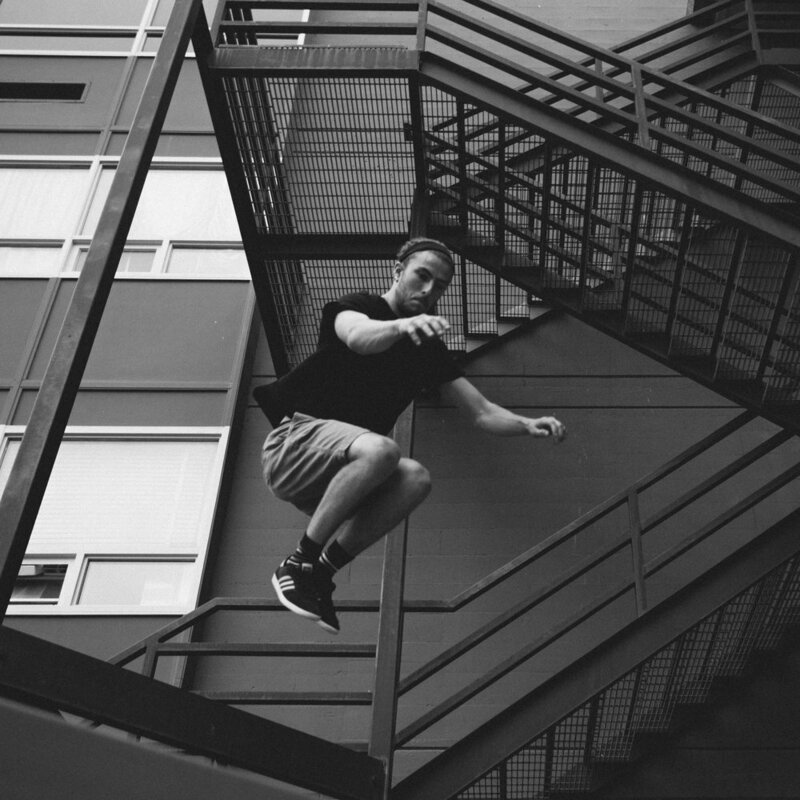 We will be hosting 3 workshops from a set of some of the most diverse and knowledgable athletes & coaches in parkour. Each workshop is being held from 12:00-1:30pm. Each workshop is $30, or you can buy a bundle of all three for $75. All Open Gym, Workshops, & Challenge Night at hosted at the gym. Schedule is subject to change.